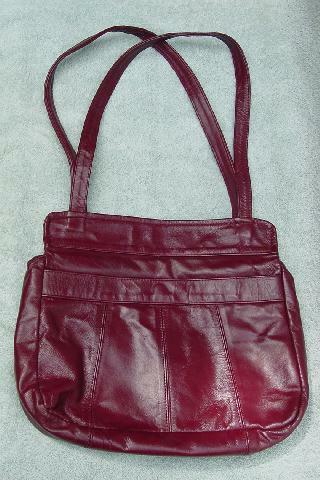 This vintage genuine leather purse was made in Mexico and is in burgundy-wine color. There is a top (3 1/2" below the top edges) side to side zipper. 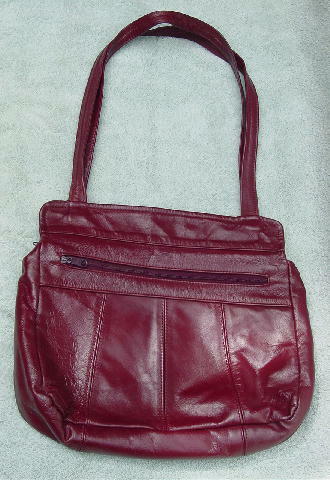 One outer side has a horizontal zippered section and the other side has a large open section with a snap closure. It has two 27 1/4" straps.